The unmanned robotic lander suffered periodic engine and communications failures during the landing sequence. Israeli spacecraft Beresheet crashed onto the moon on April 11, after a series of technical failures during its final descent, shattering hopes of a historic controlled landing on the lunar surface. Beresheet, whose name is Hebrew for the biblical phrase ‘In the beginning’, had travelled through space for seven weeks in a series of expanding orbits around Earth before crossing into the moon’s gravity last week. The final manoeuvre on April 10, brought it into a tight elliptical orbit around the moon, around 15 km (9 miles) from the surface at its closest. From there it was a short, nail-biting and ultimately disappointing conclusion. Beresheet would have been the first craft to land on the moon that was not the product of a government programme. 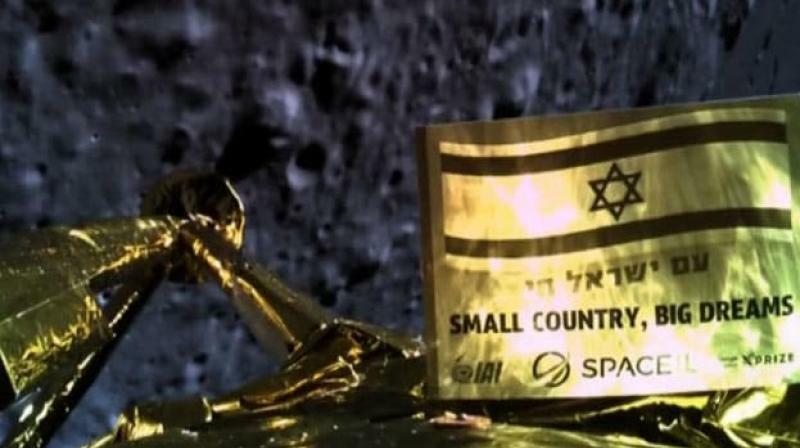 It was built by state-owned IAI and Israeli non-profit space venture SpaceIL with USD 100 million funded almost entirely by private donors. Shaped like a round table with four carbon-fibre legs, Beresheet stood about 1.5 metres (4.9 feet) tall. It blasted off from Florida’s Cape Canaveral on Feb. 21 on a SpaceX Falcon 9 rocket and entered Earth’s orbit about 34 minutes after launch.